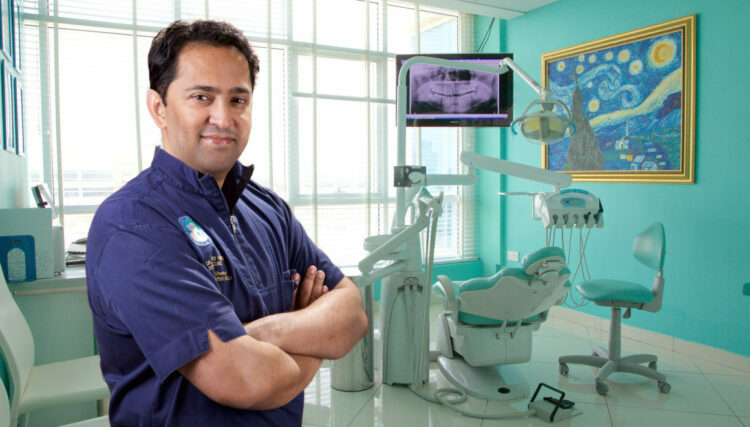 Dr. Naeem Moideen is a specialist orthodontist at NOA dental clinic. He has a vast clinical experience of over 12 years. He completed his Master’s program in Germany, getting an award of excellence affiliated with the Ludwig Maximilian University of Munich. Dr. Moideen’s expertise ranges from the use of conventional ceramic and metal braces to the most advanced lingual braces, invisible aligners and self-ligating Damon systems. 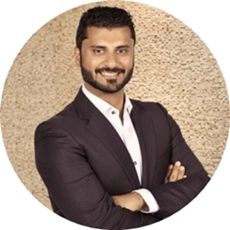 Dr. Naeem is Invisalign® and Inman aligner certified and is licensed with the Australian Dental Council. He is also an active member of both the American Association of Orthodontists (AAO) and the British Orthodontic Society (BOS). Dr. Roy Thomas is a Specialist Oral and Maxillofacial surgeon at NOA dental clinic, with over 25 years of clinical experience. 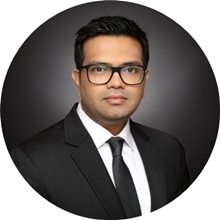 He completed his MDS with a distinction in Oral and Maxillofacial Surgery from the Manipal College Of Dental Sciences, India and further went on to obtain his Master-ship Certificate in Oral Laser Application from University of Vienna, Austria. He also got a Certificate in Implantology from Goethe University Frankfurt, Germany. Dr. Roy has a wealthy experience in complicated extractions, surgical exposure of un-erupted teeth, removal of wisdom teeth and impacted teeth to pre-prosthetic surgeries that include sinus lift, frenectomy, soft tissue and bone augmentation procedures. 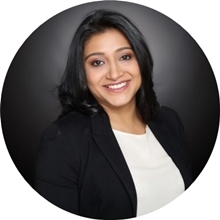 Dr. Anupama Jaswal is an Invisalign® certified practitioner and a family dentist at the NOA dental clinic. With over 18 years of extensive clinical experience in dental medicine, she has garnered a lot of skills and knowledge to handle your dental needs. She is particularly known for her works in Endodontics (root canal treatments) and Cosmetic dental procedures (porcelain veneers and crowns). 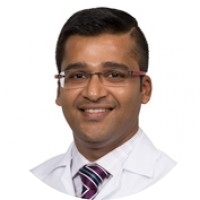 Dr. Agarwal is a prosthodontist with special interests in cosmetic and general dentistry at the Mediclinic hospital. Dr. Ritul is a fellow of the Royal College of Surgeons, Edinburgh- which is the highest recognition by the Royal College. He has garnered vast experiences in various fields of dentistry including; aesthetic smile makeovers and cosmetic dentistry, dental implants, root canal treatments, tooth-colored restorations, management of pediatric patients, periodontics and minor surgical procedures with lasers. Furthermore, Dr. Agarwal undertakes ceramic and anterior aesthetic restorations, smile designing, fixed dental prosthesis, precision attachment retained dentures and maxillofacial prosthesis for customized patient care. For more than five years in the United Arab Emirates, Dr. Mago has helped restore her patients’ confidence by putting a long-lasting better smile on their faces, working at Mediclinic, located in Dubai Mall. By the use of orthodontic treatment, beautiful and functional smiles have been achieved thanks to Dr. Mago’s extensive experience across the entire orthodontic treatment spectrum of interceptive orthodontics, dentofacial orthopedics, mini implants, and orthognathic surgeries. She also provides her patients with personalized care and offers the most advanced orthodontic treatment options including Invisalign and lingual orthodontics. DR. Gayantri has been awarded the prestigious Membership in Orthodontics (MOrthRCSEd) from the Royal College of Surgeons, Edinburgh, United Kingdom. She is also a Certified Invisalign® Provider and 3M Incognito lingual braces provider for the GCC region. Having practiced dentistry for over 20 years, Dr. Shallen Verma has the skills, the knowledge, and the experience to meet all your dental related worries. He practices at the Mediclinic Welcare Hospital, Dubai. Dr. Verma is a licensed implantologist and periodontist and holds a Fellowship from both the International College of Dentists, USA and from International Congress of Oral Implantologists, USA. He has also won several prestigious awards over the years such as the Outstanding Physician in the UAE at the Health Awards 2018 and Most Loved Dentist in the MENA region. 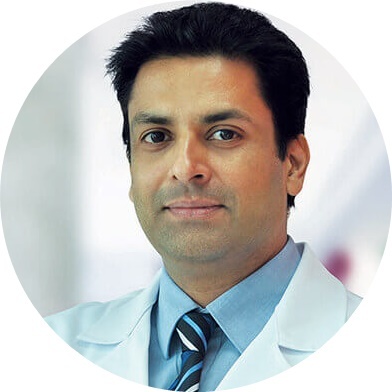 Before practicing at the United Arab Emirates, Dr. Verma previously worked in India and was in a panel of dental specialists. He provided specialized dental services to India’s VIPs such as the Prime Minister and other dignitaries. 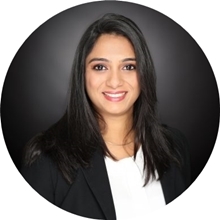 Dr. Dipti has a broad expertise in evaluation and diagnosis of gum diseases, with a vast experience in prevention and comprehensive non-surgical procedures and various surgical gum treatments. 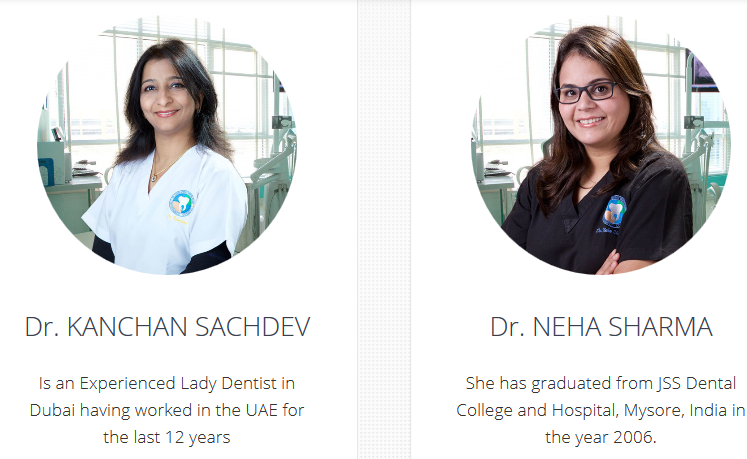 She completed her Masters’ Degree in Periodontics from the Government Dental College, Trivandrum, India, and is now practicing at Dr. Joy Dental Clinic, Dubai. She has worked over the years as part of a team for multidisciplinary treatments for the preservation of gums and teeth. Her end goal is to ensure better functional and aesthetic outcomes. Dr. Dipti is also experienced with laser treatment for cosmetic gum procedures and believes in patient care and management with a proactive method towards the prevention and maintenance of gum conditions. Dr. Joy Dental Clinic, BurJuman. 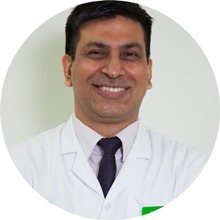 Dr. Anil Ramu completed his Masters’ Degree in Orthodontics and Dentofacial Orthopedics from Rajiv Gandhi University of Health Sciences, India in 2008, and is a practicing dentist at Dr. Joy Dental Clinic, Dubai. He also holds Fellowship in Neuromuscular Orthodontics from Italy and has been trained in micro and mini implants for orthodontics. Having more than 12 years of experience in dentistry, Dr. Anil has over 5 years of experience in providing orthodontic treatment for cleft lip and palate patients of all age groups and has been part of the Cleft Lip and Palate team of doctors at The All India Institute of Speech and Hearing. Dr. Ramu is also known for his orthodontic treatment planning which includes non-extraction orthodontics, orthodontics for balanced face and surgical orthodontics. His treatment methods mainly focus on the use of growth modulation and providing non-extraction treatment plans, in which removal of permanent teeth for orthodontic treatment is minimal. He is also a certified provider of Invisalign®, 3M Incognito (invisible orthodontics), 3M Smart clip and Damon (self-ligation bracket system). 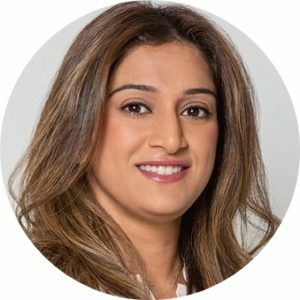 Dr. Anila Virani completed Advanced Clinical Program in Pediatric Dentistry and received her specialized studies in pediatric dentistry from Queen Mary, University of London, one of the most prestigious institutions in the United Kingdom. 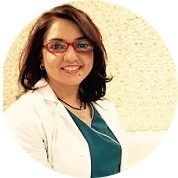 She is also a member of the European Academy of Pediatric Dentistry. Dr. Anila has the passion to care and has had specialized training on how to handle the various needs of young patients. Her treatment methods create a unique bond with her patients and also making them fun-based. Her knowledge of child psychology and behavioral science helps her young patients by creating a relaxed environment for them. Some of her notable treatment procedures include the use of modern techniques, with a special focus on conscious sedation, which helps avoid general anesthesia wherever possible. Dr. Teertha Karnakar graduated from Rajiv Gandhi University in 2005 and earned her Master’s Degree in Orthodontics from Dr. D.Y. Patil Dental College and Hospital in 2010. She pursued advanced studies and completed special training in Lingual Orthodontics at the Kyungpook National University, Korea in 2010. She also received her Incognito™ Braces Certification in Germany in 2011. 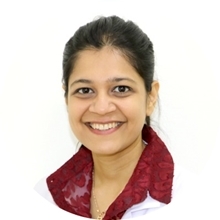 Dr. Karnakar has been a part of several dental and orthodontic conferences in Dubai and abroad, where she gives talks and lessons. One of her biggest talks was at the 10th Arab Orthodontic Conference, UAE, where she presented her study. “The Curious Case of the Impacted Canine”. Dr. Teertha specializes in treating children with preventive and interceptive orthodontics, and adults with invisible and surgical orthodontics. She uses fixed orthodontic treatments using the latest self-ligating systems such as the Smart clip (3M) and the Damon system. She is a certified provider of Invisalign®, a trusted provider of Six Month Smiles®, Inman and ClearPath Aligner. Dr. Anand Shenoy A top ranked honors student from University of MAHE Manipal. The clinic is based in Dubai for more than 14 years offering quality treatments at reasonable prices. The reception area is so comfortable with nice soothing music, fast Wi-Fi connection, and a computer station in the reception created for tight scheduled business persons to use their time efficiently. At Dr. Anand Shenoy you will find a massage chair to unwind from stress before your appointment. A separate game zone especially for kids that will make your child want to stay there forever. English, or Hindi, or Urdu, or Tagalog.